Projects – Judds Bros Construction Co.
Judds Bros Construction Co provided all supervision, labor, material, tools, and equipment to complete the construction of horizontal collector well pump house (HCW 14-2) located in the East Well Field on a caisson previously constructed by Others. The pump house will contain three vertical diffusion vane pumping units; associated piping, valves, motor control center, instrumentation, HVAC equipment; and all appurtenant work indicated or specified. 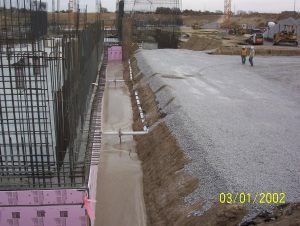 HCW 14-2 will be a stand-alone structure with a stair tower and suspended walkway. 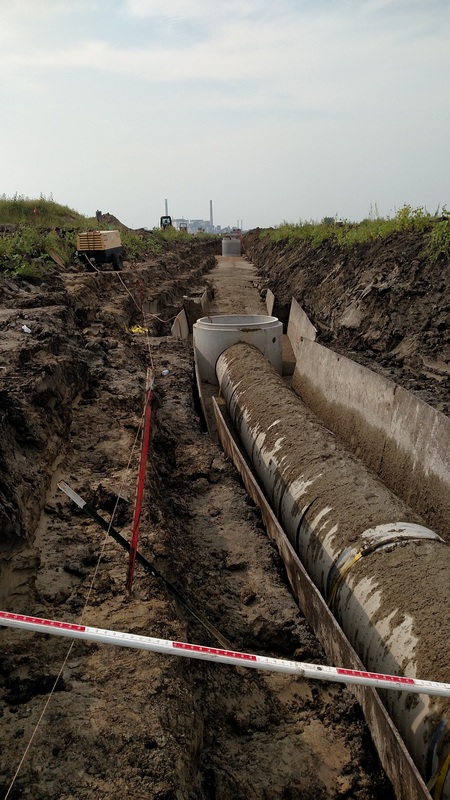 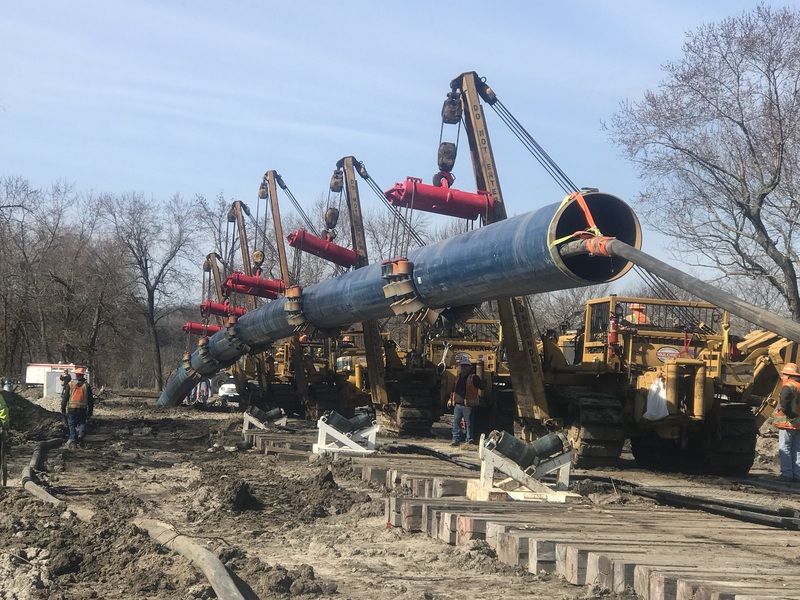 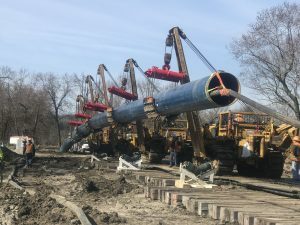 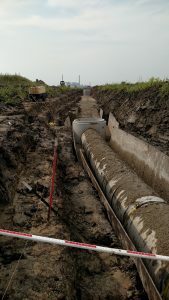 Other site work includes construction of a raw water transmission main between HCW 14-2 and HCW 14-1, horizontally directionally drilled river crossing, permanent access roads, and fiber optic communication installation. 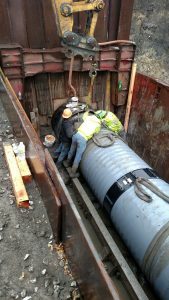 The modification of pump related electrical systems and replacement of adjustable frequency drives at HCW 90-1 and 90-2. 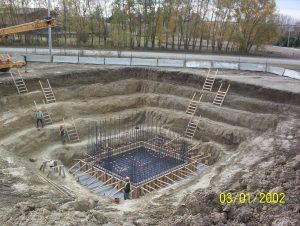 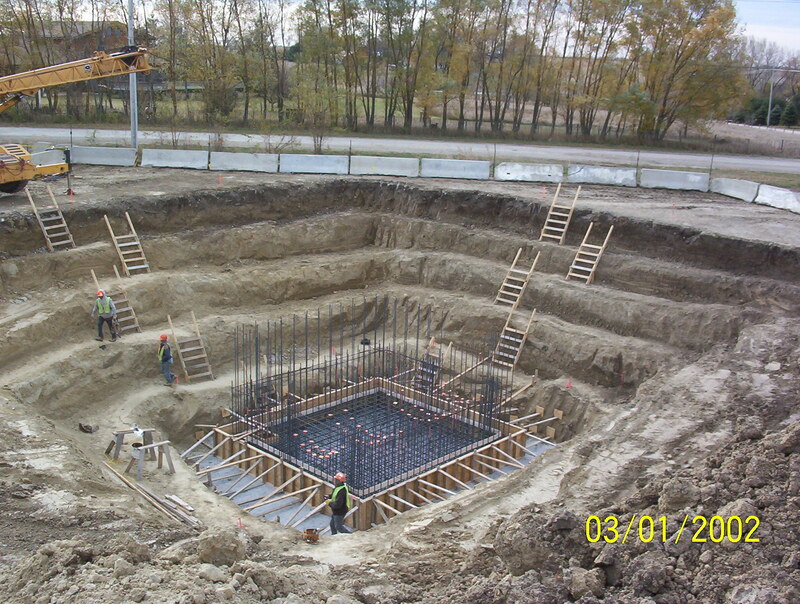 The construction of the East Wellfield Disinfection Facility generally consisting of a buried bulk tank, chemical transfer pump, chemical metering pumps, day tank, precast building, and associated piping valves, instrumentation, electrical, HVAC equipment, and all appurtenant work indicated or specified. 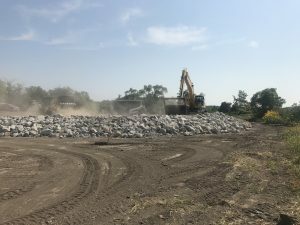 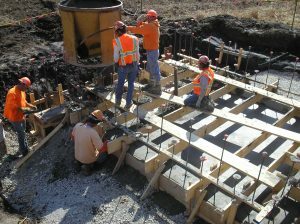 Construction of the Council Bluffs Industrial (CBI) Southlands Collection System Pump Station, which will be located on the east side of Interstate 29 along 192nd Street in Council Bluffs, Iowa. 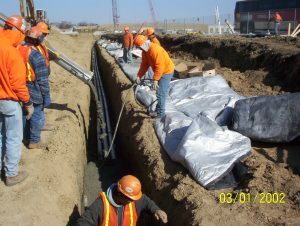 The pump station consists of a screening area, trench type wet well, force main, site work, and associated electrical and controls. Judds Bros. Construction Co. worked on various portions for the pump station and site work and all of the force main work. 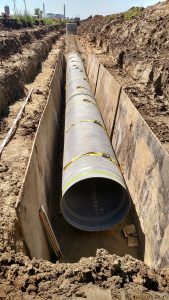 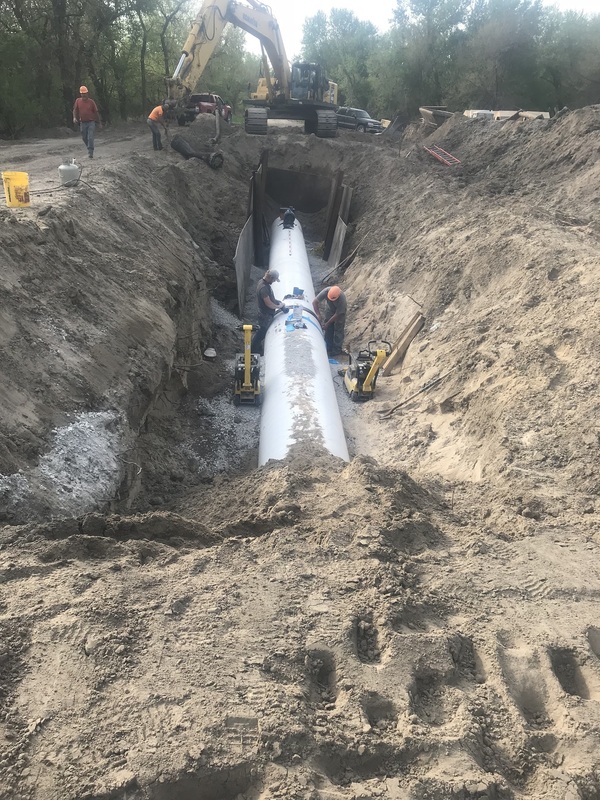 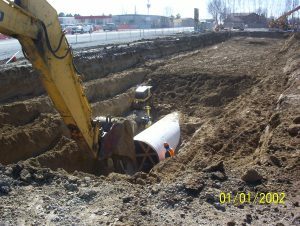 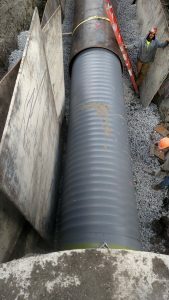 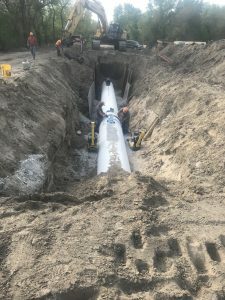 Judds Bros Construction Co provided all supervision, labor, material, tools, and equipment to complete all yard piping from 1 inch through 72 inches including civil site, drainage, chemical injection vault and appurtenances. 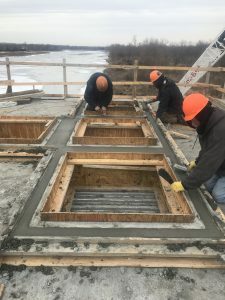 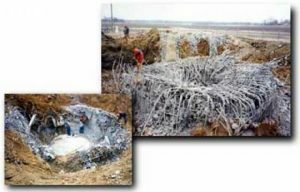 The project also included manholes, inlets, junction boxes, drain boxes, flared inlet sections, pond inlets, and outlets and chemical duct banks. 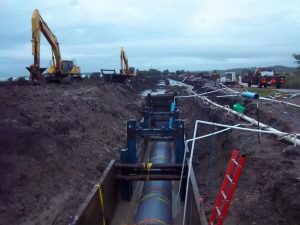 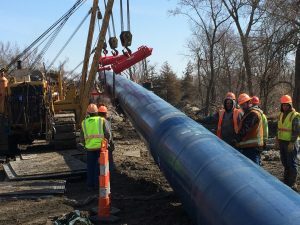 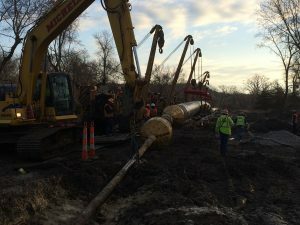 There was 92,000 LF of pipe involved. Phase II of the Industrial Park Levee project is located adjacent to the Ameristar, Cargill, and Warren Distribution properties from Missouri River Miles 613.9 to 614.7 or Levee Stations 212+00 to 221+00. 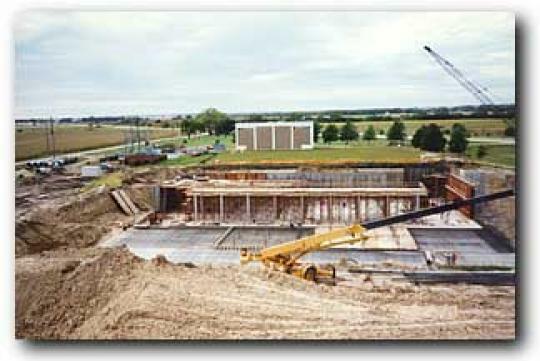 The phase II construction includes increasing the levee height in designated locations, the installation of under seepage controls, demolition of existing structures, removal of storm sewers, installation of 2 new outfall structures, bank stabilization measures, and re-establishment of rock and vegetation. 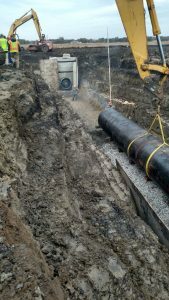 The project includes the following: Preload Placement and Removal, Dewatering, 48″ Sanitary Sewer Abandonment (fill), 48″ Sanitary Sewer Gravity Main (trenched), 48″ Sanitary Sewer Gravity Main with Casing (trenched), 48″ Sanitary Sewer Gravity Main with Casing (trenchless), Epoxy Manhole Lining, 48″ CIPP Sanitary Sewer Pipe Lining, Cementious Mortar and Epoxy Manhole Lining, and any other necessary items to complete the project. 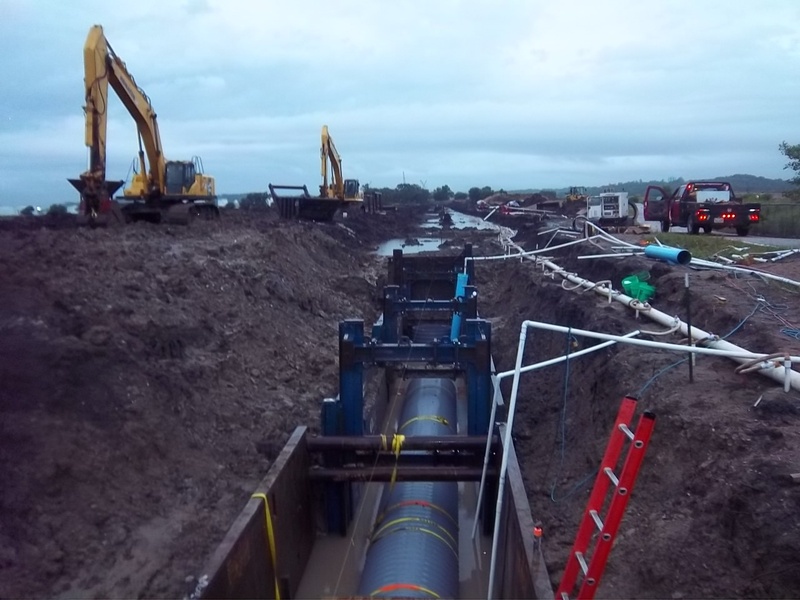 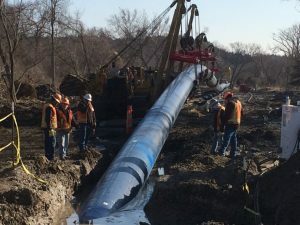 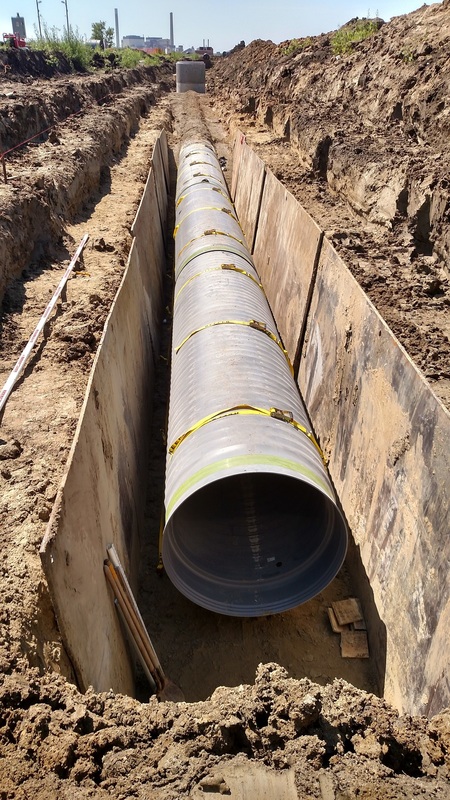 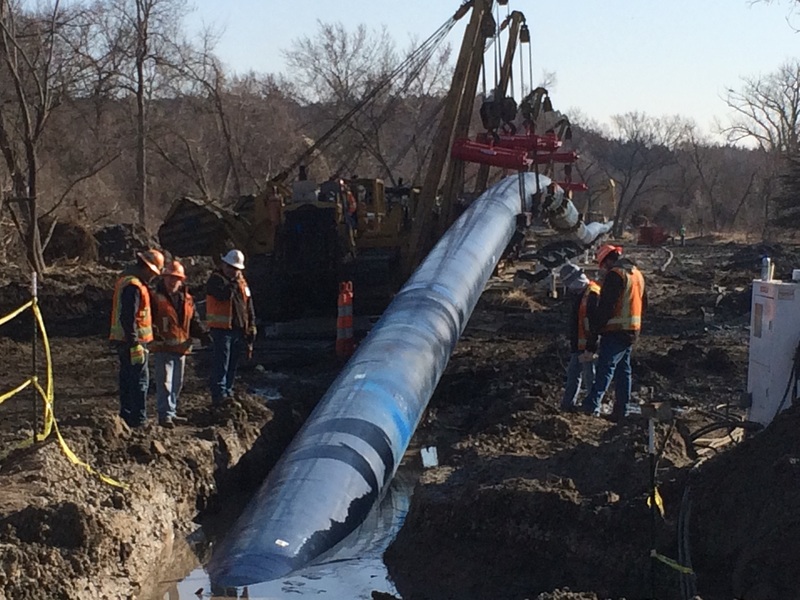 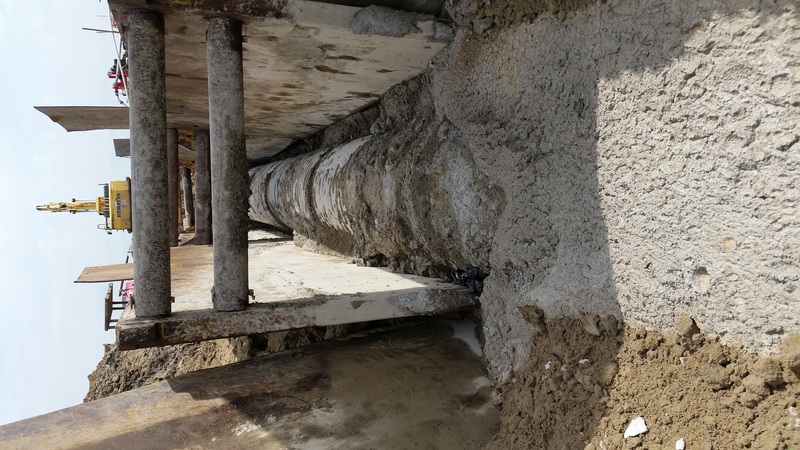 The project included the furnish and install of 5,600 LF of 54 inch steel water main. Also relocation of 8 inch sanitary sewer on Carlos Drive and various storm sewer extensions. 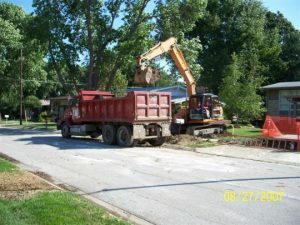 The below ground improvements also includes the removal and repaving of Carlos Drive from East Avon Lane to Holdrege Street. 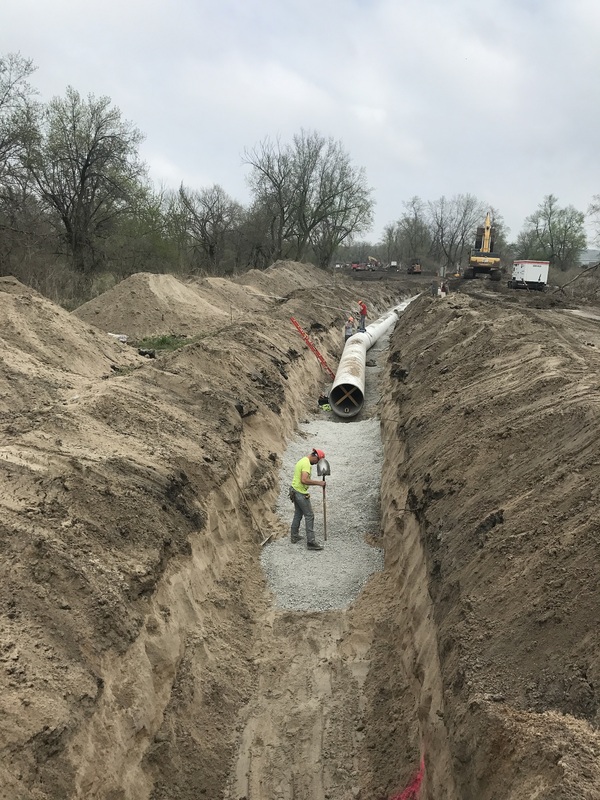 The contract included construction of a 5.1 million gallon below-grade ground storage treated water reservoir of cast-in-place concrete construction and associated 48-inch and 54-inch yard piping adjacent to the existing Northeast Pumping Station and Reservoir. 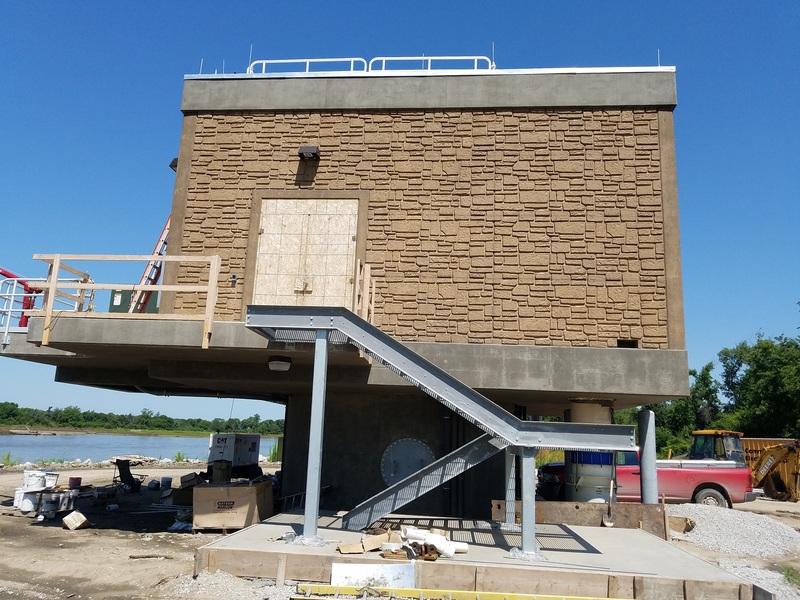 A single 20.2 mgd low head pumping unit was installed and wetwell modifications provided in the existing Northeast Pumping Station, along with modifications of the facilities electrical and heating, ventilation, and air conditioning systems. 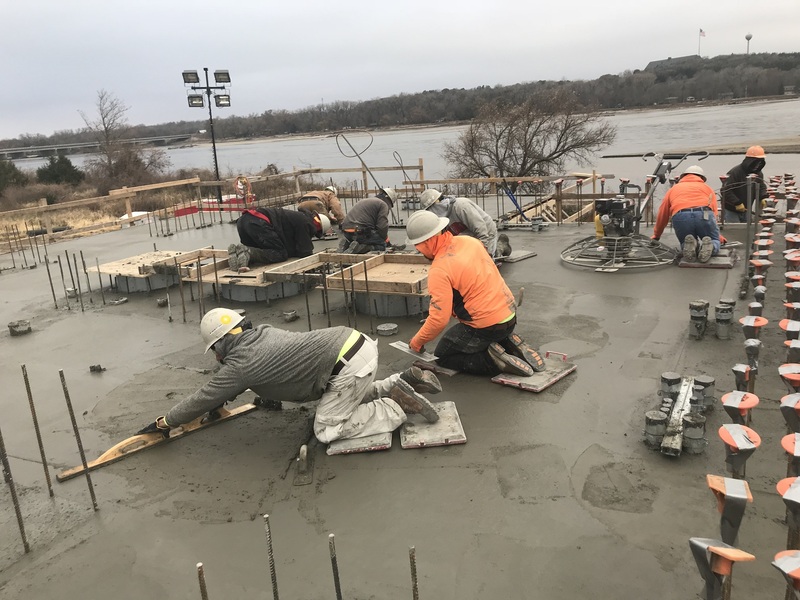 The contract included construction of a 10 million gallon below-ground storage treated water reservoir of cast-in-place concrete construction with a High Service Pumping Station integrally constructed within the new reservoir. 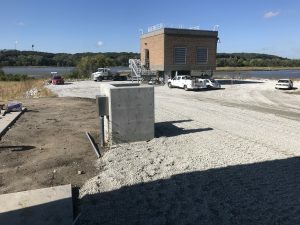 The reservoir and pumping station were constructed adjacent to the existing 10 million gallon Vine Street Reservoir. 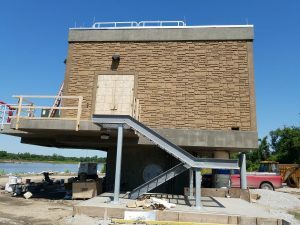 Two 10 mgd vertical diffusion vane pumping units were furnished and installed in the pumping station. The contract also included construction of a reservoir overflow structure, flow control vault, meter manhole, retaining walls, major yard piping ranging from 54-inch to 20-inch diameter, piping and electrical modifications at the existing Vine Street Pumping Station and associated electrical work, control and instrumentation work, mechanical work, site work, and all other appurtenant work. 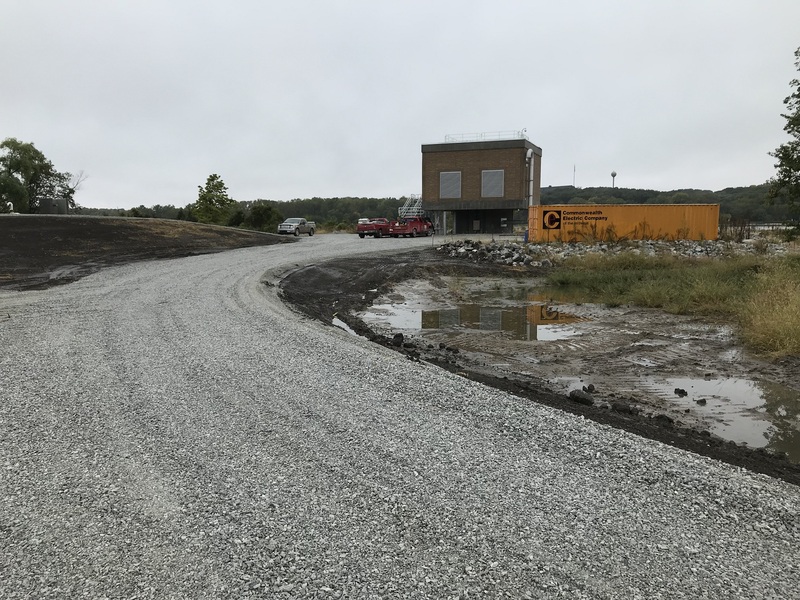 Lincoln B2 West Fueling Facility involved construction of a new fueling facility on the south side of Hobson Yard, near its western end. 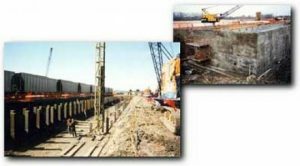 Work included a diesel fuel oil loading/unloading facility, fueling platform, underground utilities and structures. 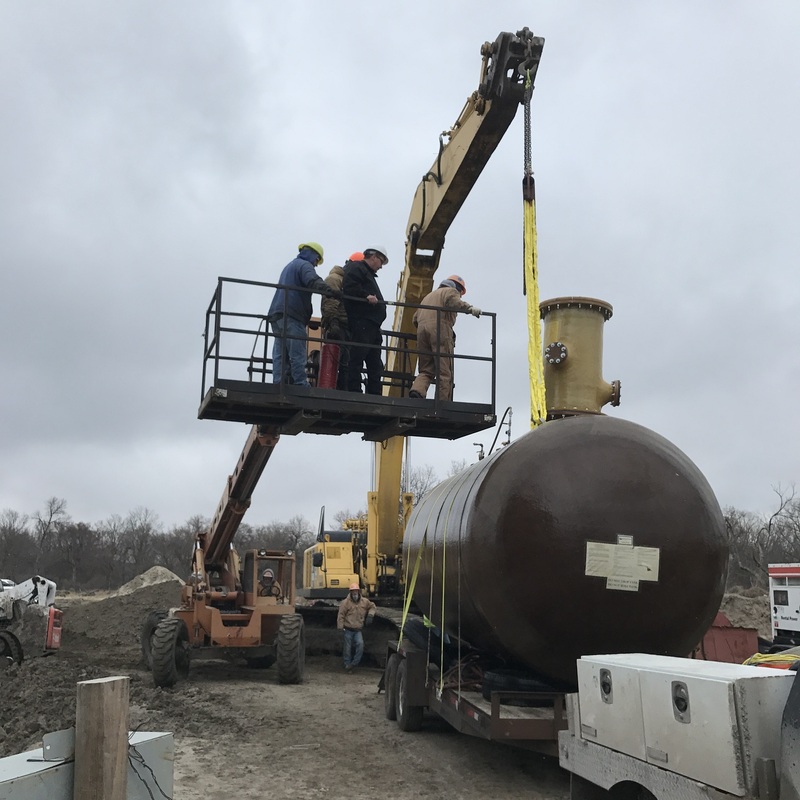 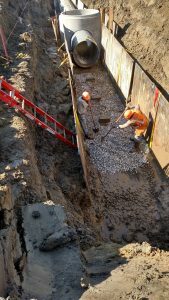 We also constructed a new diesel fuel oil tank at the Cushman site west of 40th Street. As a sub-contractor to M.A. Mortenson Company, Judds Bros. Construction Co. completed all appurtenant work to dismantle150 Minuteman Intercontential Ballistic Missile (ICBM) Launch Facilities using mechanical demolition methods to remove and dispose of the topside appurtenances and all below grade construction to the required elevations. 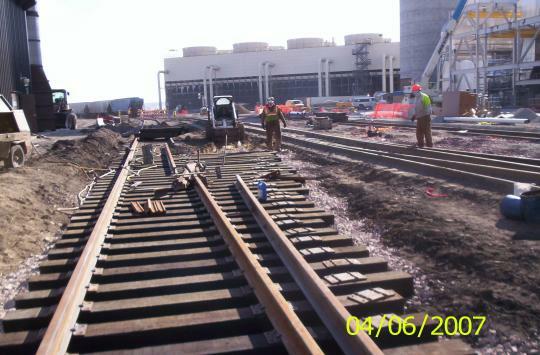 The complete construction of new tracks, including subgrade for new tracks for the Omaha, Lincoln & Beatrice Railway. The reconstruction of roadway approaches to the BNSF railroad grade crossings on 14th and 17th Streets, the construction of new subgrade for new railroad crossings of those roads and the placement of temporary pavement in the future track area. The removal of abandoned Union Pacific Railroad tracks and other facilities in the “X” Street corridor between the BNSF, in the vicinity of 10th Street and approximately 19th Street, including the reconstruction and restoration of intersecting streets and sidewalks, the clearing and seeding and mulching of the railroad right-of-way and miscellaneous work. 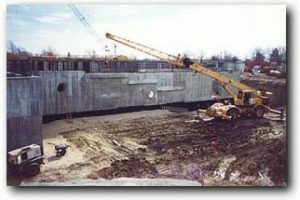 The construction for this project included a new rail overpass consisting of installing a 31 ft. diameter culver to allow for train traffic to go under the new access road over the track. The project included the grading for the overpass, relocation of existing waterlines, the laying of the culvert pipe allowing the track to go underneath the new overpass, laying of new track going through the culvert, storm drainage, paving of the new road on the overpass, signage and street lighting.